George Jensen Silver Spoon - Daniel Bexfield Antiques. 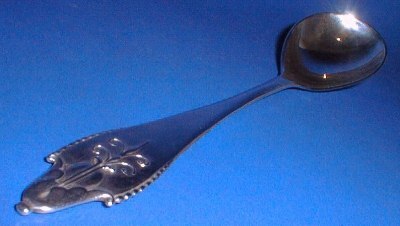 A silver spoon by Georg Jensen. Flatware pattern 'Akkeleje' No.77, there is no English name for this pattern. Import mark for London, 1926.